And I will be saved. Jen Optimistic & Haunted | the secret keeper Also be sure to check out her About page. Amazing quotes. Al https://altheauthor.wordpress.com/2015/08/19/haiku-challenge-save-rise-and-zombies/ My boy “B” liked the picture. ← Finding Time to Blog. Huh? 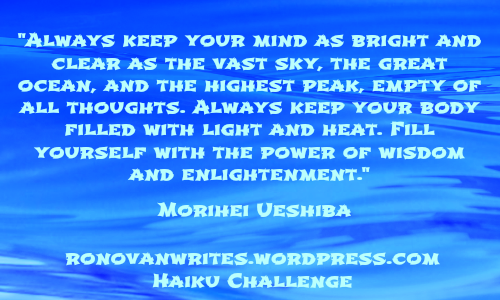 I am glad to fall in with some fellow haiku bloggers, should have taken more notice of Sue’s inputs earlier.